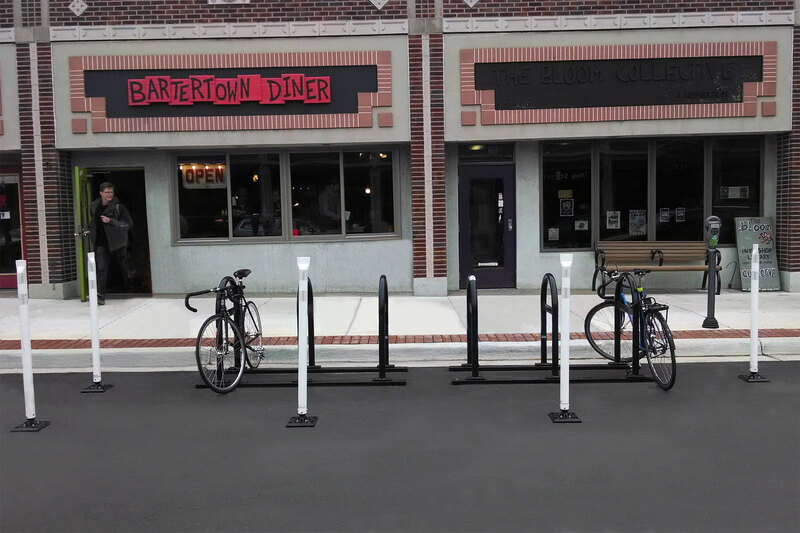 The CycleSafe Bike Corral provides an opportunity to promote local business with bike accessibility to enhance street and neighborhood identity. A bike corral transforms a standard parking lane or sidewalk area into bike parking for 4-8 bikes per five-foot section. Bikes can be placed at 45º angles to increase pathways between pedestrian or traffic lanes. Additional pavement markings and buffers such as rubber parking blocks, bollards, or planters are recommended to delineate the bike parking area. Local codes and ordinances must be referenced prior to placement, with visibility for night-time use considered. Many bike parking options are available for configuring a bike corral, as can be seen in our image gallery. 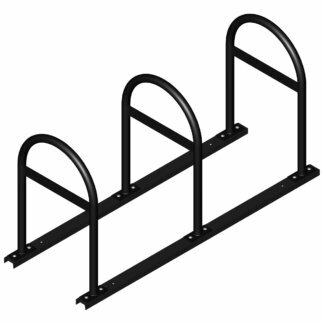 Some of the more popular bike racks for a bike corral are Rail-Mount Bike Racks and Bike Stalls. Help keep cyclists safe with highly reflective, rebounding bike corral tubular markers.